The Ramapo Valley Railroad in Ho-Ho-Kus will host holiday open houses for kids of all ages on Nov. 22 and 29 and on Dec. 6, 13 & 20 from 1 p.m. to 4 p.m. Located in the Ho-Ho-Kus VFW Hall at 620 Cliff Street (down the street from the NJ Transit RR station) there is plenty of free parking. In November of 2017 the popular Bergen County tradition for more than 50 years will end with the railroad club loses its lease in November 2017. The club is presently looking for a new home or sponsor. Admission is $5 for adults and $1 for children under the age of 12. Check out ramapovalleyrailroad.com for additional information. 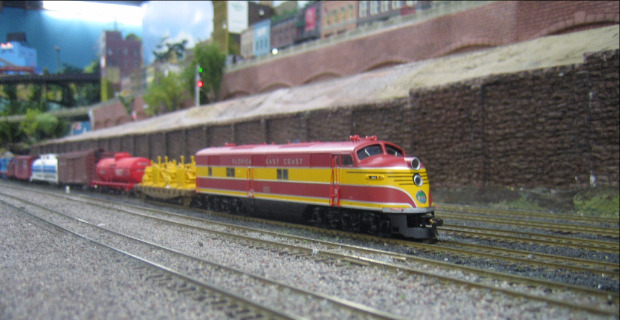 The massive model train layout features dozens of running trains, an operating drive-in movie theatre, windmill farm, cities, mountains, bridges, tunnels, cities, farms, industries yards and an operating roundhouses.